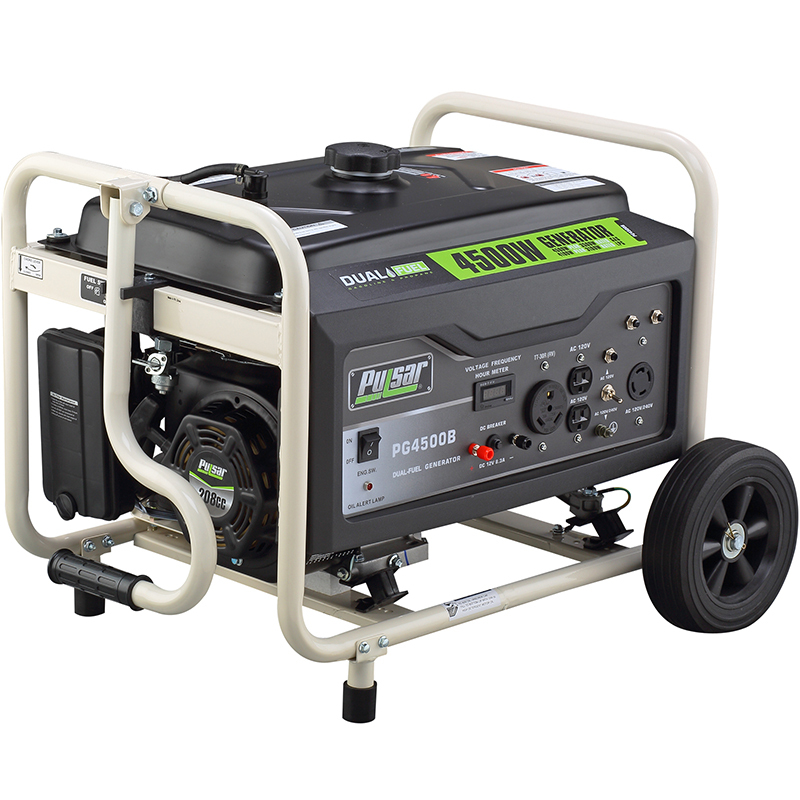 When you need the convenience of portability and the power to perform, the Pulsar PG4500B backup generator is a strong candidate for satisfying your power needs. Ideal for outdoor projects, or use away from a power grid such as at the job site, camping, cottages or even on boats along with weather related emergencies at home, this unit will perform on ether gasoline or liquid propane, Add to this features such as a tubular steel frame, mobility kit with no-flat tires and fold-down handle, and 120, 120-240 and 12V outlets and you have an outstanding addition to anyone’s assortment of must-have devices. One 4 gallon tank of gasoline or 20 lb liquid propane tank provides operation for up to 15 hours at half load, while the PG4500B’s unique design reduces noise to just 70 dB. Convenience, portability, dual-fuel, extended operating time and low noise levels makes the Pulsar PG4500B one of the most exciting new products in a long, long time.